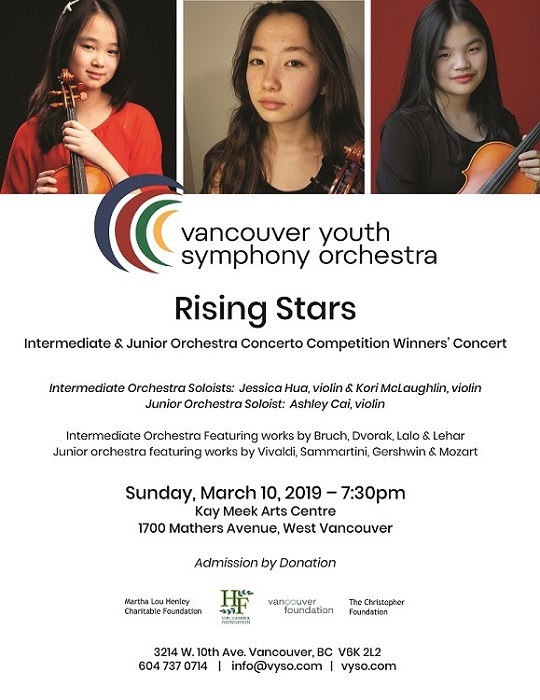 Don’t miss the VYSO Junior & Intermediate Orchestras Concerto Competition Winners’ performance, presenting three very talented young violinists. Enjoy solo works of Bruch, Vivaldi and Lalo as well as orchestral selections from Verdi’s opera Nabucco, Dvorak’s 8th Symphony, Gershwin’s Lullaby, Mozart Divertimento in F and Sammartini Sinfonia in G! It’s a great show for the whole family!